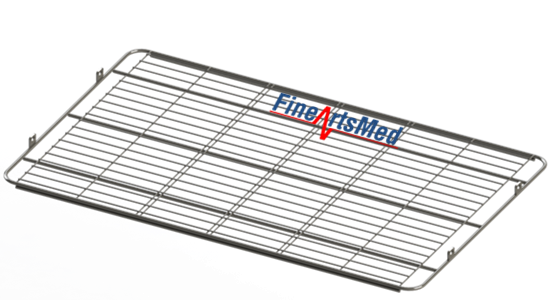 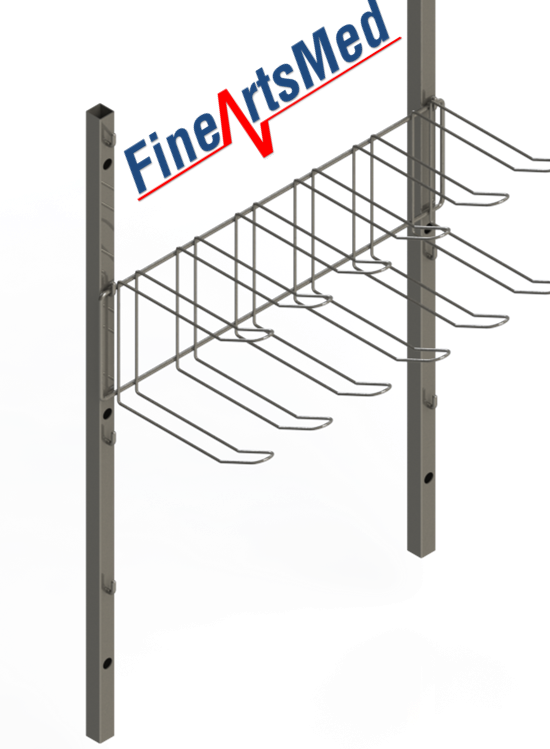 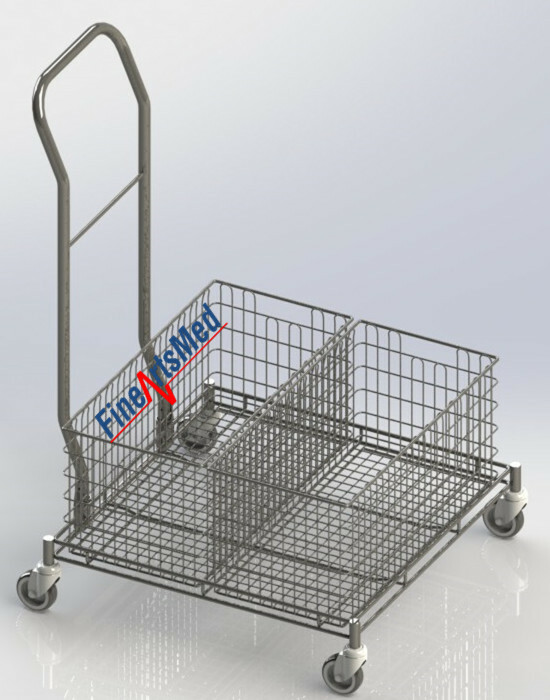 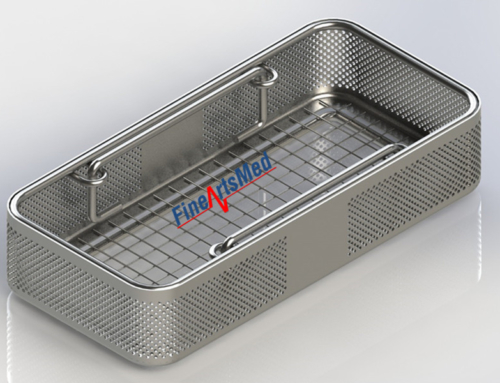 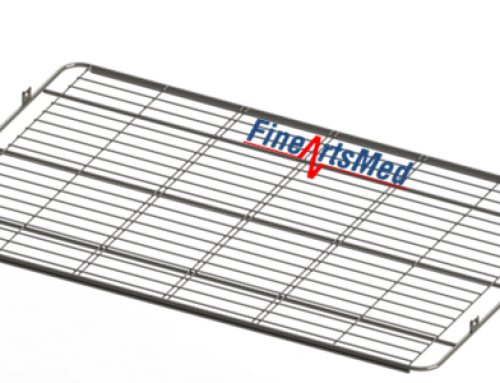 The basket trolley is designed for storage and transport of empty, stacked/nested,modular sterilizing wire baskets (DIN size baskets), and for storage of loaded baskets. 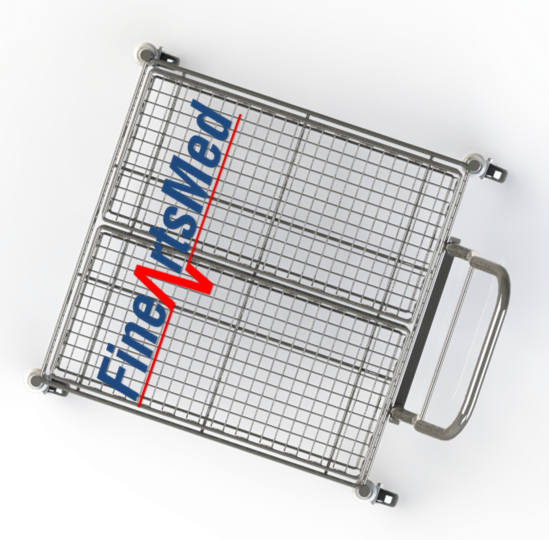 The basket trolley has 4 swivel castors (diameter 75 mm), mounted in ball bearings,to make it easy to handle even in narrow passages. 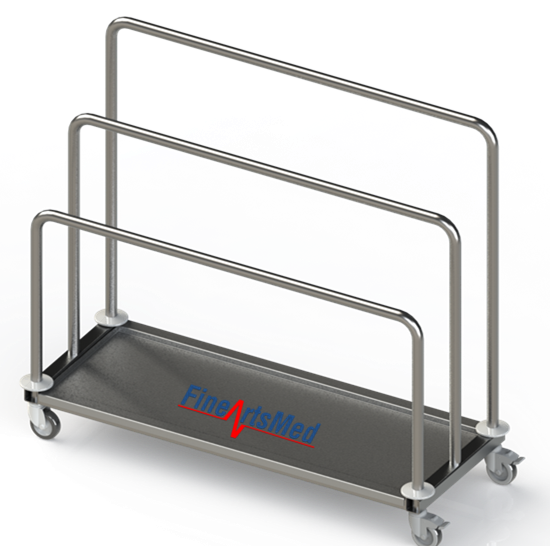 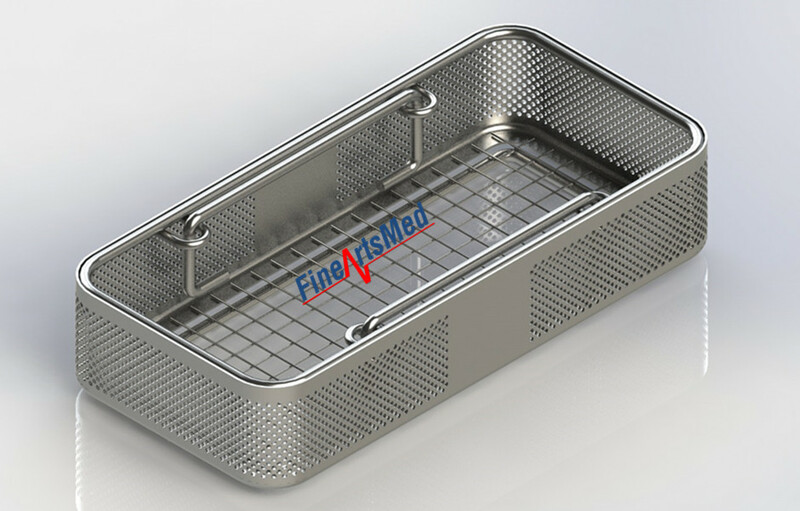 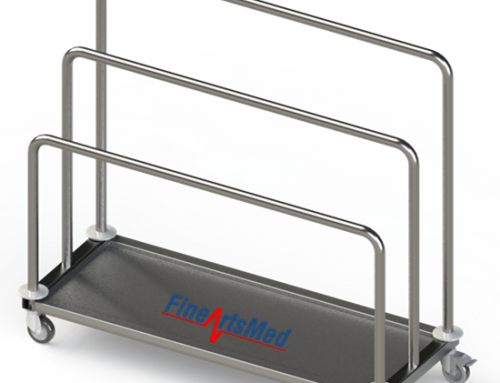 The trolley is made of stainless steel and is easy to clean and disinfect in a washer-disinfector. 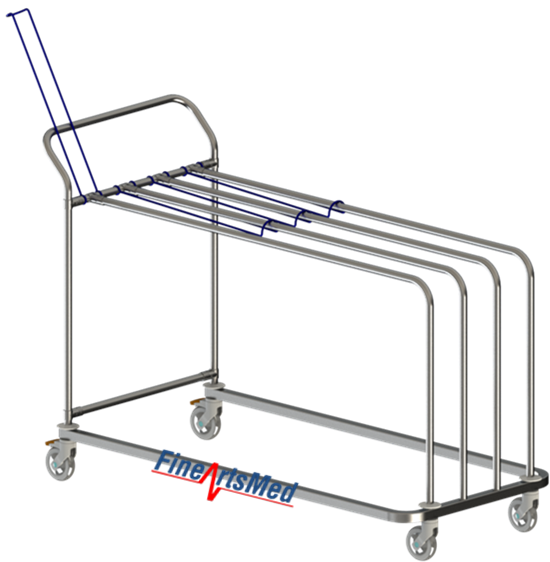 The trolley can, as an option, be adapted with a removable handle, easy to attach, for improved convenience during transport. 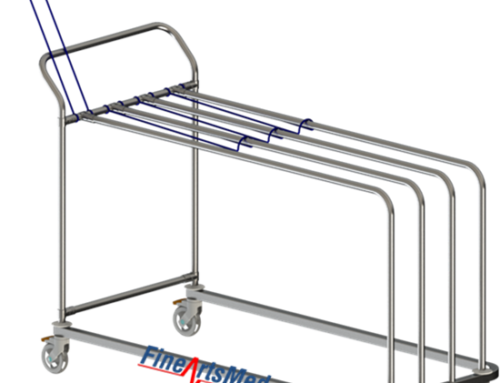 Load capacity: approx. 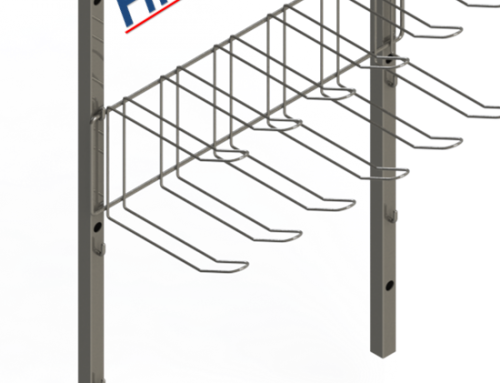 150 kg.